A superb opportunity to acquire with no chain this four bedroom detached family home located on the sought after Acorns development in Stannington Village. Offering spacious accommodation over two levels the property benefits from double glazing, GCH, driveway, garage, conservatory, front and rear gardens. 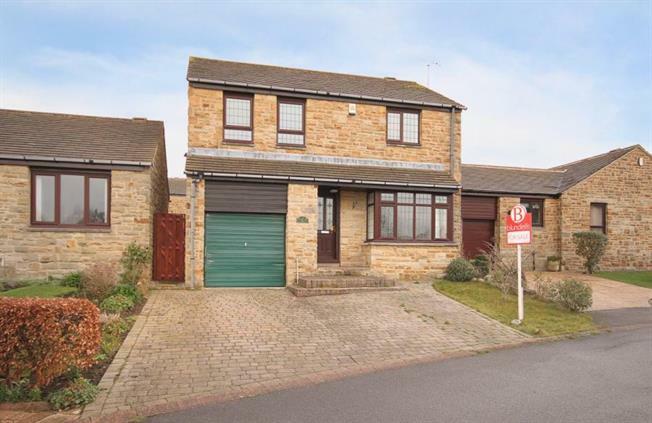 Stannington village is a sought after suburb to the west of Sheffield on the edge of countryside with excellent local amenities including shops, schools and public transport links. Offering access to the beautiful Loxley and Rivelin valleys with road network to the Peak district and Hillsborough having Supertram park and ride terminus and shopping centre. Local schools include Bradfield Secondary, Nook Lane junior, Shooters Grove Primary and Stannington Infants. The accommodation comprises an entrance hallway with stairs to first floor landing and downstairs WC. The lounge has wooden flooring, feature fireplace focal point and bay to the front, French doors lead through to the dining area with wooden flooring and patio doors opening to the conservatory, having wood effect flooring, French doors to the patio, polycarbonate rook with light and fan. The kitchen is fitted with an excellent range of base and wall units in high gloss white and contrasting granite effect work surfacing, with space and point for oven and fridge freezer, tiled splash backs, breakfast bar, rear window and rear access door. On the first floor, the master bedroom has wooden flooring and a pair of windows to the front offering lots of natural light a views. The ensuite shower room has built in wash basin and recessed shower with tiled splash backs. bedroom two is carpeted with window to the front, bedroom three is carpeted with window to the rear and bedroom four is carpeted with window to the rear. The family bathroom has three piece suite comprising WC, wash basin and bath with shower over and screen. To the exterior of the property is a block paved drive way giving access to the integral garage. To the rear of the property is an enclosed garden with paved patio, decked area and lawn providing an excellent outdoor seating, entertaining and play area. An early viewing is essential on the much sought after development.